Marton Fucsovics Tennis Racquet - What racquet does Fucsovics use? Hungarian tennis player Marton Fucsovics has just won his first ATP tour title and is rising in the rankings. Fans and tennis nerds are now wondering what gear he is playing with. 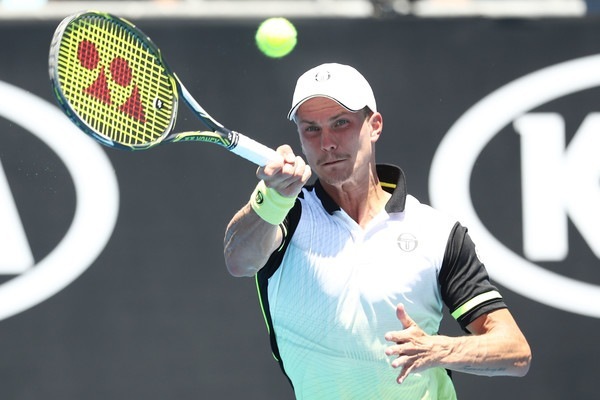 This article covers Marton Fucsovics tennis racquet. 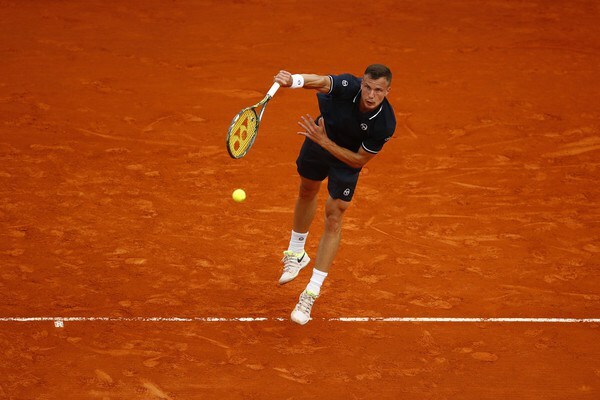 Marton Fucsovics won his first title in the ATP 250 tournament in Geneva after beating Albert Ramos-Vinolas (click on the name of the player to read about their racquet), Steve Johnson, Stan Wawrinka, Frances Tiafoe and Peter Gojowczyk. This made him take a jump in the rankings up to the #45 spot at the time of writing. But what is Marton Fucsovics tennis racquet? 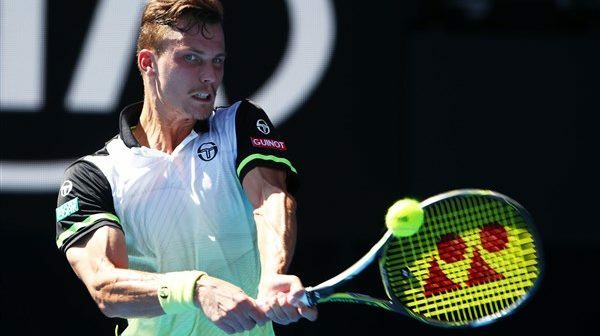 Marton Fucsovics is actually using a retail Yonex Ezone DR98 (read my review here) 310 strung with Yonex Poly Tour Pro 1.30 yellow, most often around 22/21 kgs. He has said it himself – he is not using lead tape. If that is really the case (not sure why he would lie about this on his own Facebook Q&A), this means we have yet another pro who is playing a rather low weight racquet. As a tennis nerd and licensed racquetholic it is easy to become obsessed with pro player racquets (that is probably why you are reading a post called Marton Fucsovics Tennis Racquet) and their specs (see the list of posts on this topic here), but there are plenty of professional tennis players that know less about tennis racquets and strings than recreational players. They know when they like a setup, but they might not know why, for example. Then there are also pros who are testing new racquets and setups as often as some tennis nerds do, but I would say this group is smaller. More and more professional players are using lighter racquets. It is partly a generational change where younger players grow up with the lighter racquets of today. But it is also that the game is changing and becoming a lot faster so racquets are becoming lighter (so you can swing them faster) and stiffer (to increase stability). So it is no real surprise that Marton Fucsovics tennis racquet weighs around 330 grams strung. Both Kokkinakis, Pouille and Goffin are using racquets with similar weight. The days when most pros were using racquets weighing 360 grams or more are over and I think a telling sign is that both Federer and Djokovic have aimed to reduce swing weight in recent years. So if ATP pro Marton Fucsovics tennis racquet weighs only 330 grams strung, why do some lesser players such as myself “play better” with 350 grams? Well, I think it is mainly two things: the extra weight helps on off-center shots (which you tend to hit a lot more than the pro players) and you get more power even with a slower racquet head speed. I am not saying it is like this for everyone, but a lot of recreational players might recognize themselves here. I definitely notice that I can swing faster and get more spin with lighter racquets, but usually not enough to be consistent with control and depth of my shots. This is definitely something I personally need to work on. Because if Marton Fucsovics tennis racquet weighs 330 grams, why do I need a 350-360 gram racquet? Thanks to Ferenc Ferdinánd Weisz for notifying me about the Fucsovics Q&A and his specs. Are you surprised about Marton Fucsovics tennis racquet setup? Please comment below! My opinion is that most of the people play with the racquet which is to demanding for them. I have played with the racauet that is 275g unstrung, and with the racquet that is 320g unstrung. Results were almost the same. But thing that did make the difference is my physical condition. At my level player who is physical and mental stronger wins. That is almost always the case at amateur level. I have a frined who is way better than me, he plays with 295 unstrung racquet. He plays fantastic. In one way I agree about this. Many of us might play with racquets that are too heavy to generate any racquet head speed. Like you, I know guys who play on Futures level with 300 gram (unstrung racquets) and then guys who are 3.5-4.0 NTRP racquets who play with 90 sq inch racquets weighing 370 grams. But it’s possibly that the stability of the frame at least helps them with off-centre shots and the small racquet head gives them more control on their (mostly flat) shots. So I still think it’s personal thing. I tried a Babolat Soft Drive the other day that weighed 303 grams strung with close to even balance and I hit really well with it and enjoyed it immensely. The strings were old (and dirty) natural gut strings so I didn’t expect to hit a good ball with it. Racquets are a personal thing, that’s why we spend so much time finding a good one (and a matching string setup). But I think having an open mind about the racquet and your own abilities is the right way to go.